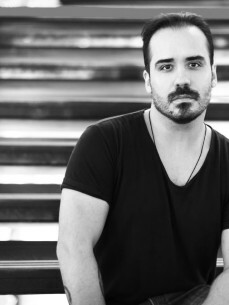 Sebastian Busto has carved out a considerable niche for his unique brand of underground dance music. Renowned for creating dreamy atmospheres through elegant and melodic progressive house he has signed and released his music in many of the most important label of progressive all over the world: The Soundgarden, SoulArt Recordings, Particles, Manual, Asymmetric, Sound Avenue, Balkan Connection, just to mention a few. His tracks have received the support of legendary figures like Hern·n Cattaneo, Nick Warren, Chicane, Armin Van Buuren, Eelke Kleijn, Solar Stone, among many others. As a DJ, he has played all over Argentina (Bs.As, Rosario, Cba, PinamarÖ) sharing cabin with the greatest referents of the local scene as Fernando Ferreyra, Martin GarcÌa, Dj Paul, Mariano Mellino, Kevin di Serna, just to name a few. On an international level, in 2016 he shared cabin with Sidney Charles, warming up for him in Santiago de Chile. In these days, he is waiting for his first tour of Europe. In other hand, nowadays he has a monthly residence on Proton Radio, and also he was invited to make several guest mixes on the most important radios of progressive such as Frisky Radio, GWM Radio, Digitally Imported, etc.